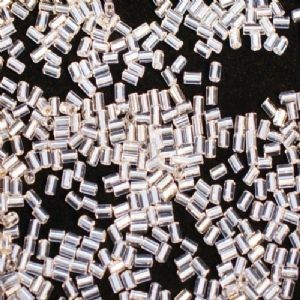 3mm Matsuno Silver Lined Glass Bugle Beads. See Note. NOTE - Out of stock at our supplier. Please order all you need at once - further supplies of this item cannot be guaranteed.